PayIt is simplifying doing business with state, local, and federal government through its award-winning digital government and payment platform. Along with our government partners, we are transforming the customer experience and making government more modern, convenient, and mobile. John founded PayIt after waiting in line to renew his license at the DMV. 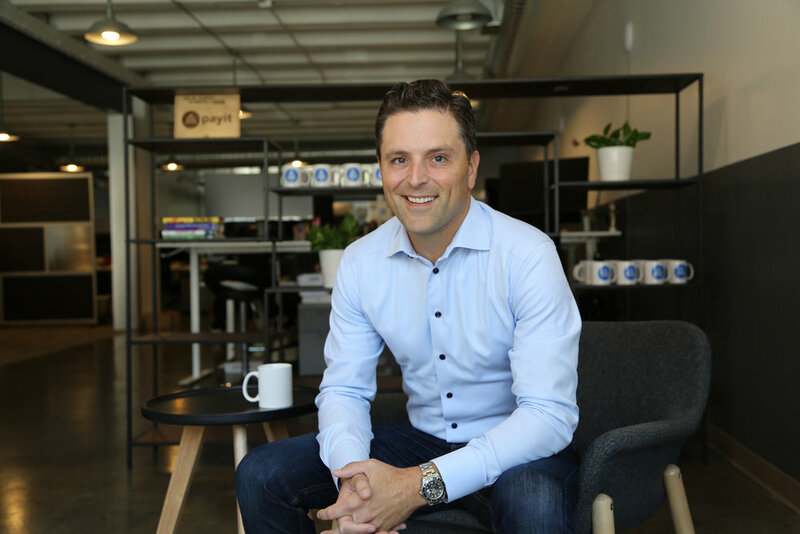 He knew a smarter digital government experience was possible and PayIt was born. John was recently recognized as an industry leader in Government IT by StateScoop. Previously, John served as CEO of an innovative SaaS-based marketing technology company serving some of the biggest names on the Fortune500. John's career began with roles across Engineering, Product Strategy, and Sales at Cerner Corporation and EMC. Mike began his career with Arthur Andersen and since has held a variety of leadership positions with venture capital and private equity-backed companies. In both start-up and $100M+ revenue companies, Mike has led strategic and operational management, financial administration, capital finance, teams and process development across the U.S.
Mike served as the first Chief Technology Officer for the state of Illinois. While there he established the Illinois “FIRST” strategy shaping the future of Tech and Innovation across the state. He is a founding member of the Illinois Blockchain Initiative, and has served on the Electronic Driver’s License Taskforce for Illinois. Mike also served in President, CEO, CTO and CIO roles for companies focused on building next generation technology platforms including Microsoft, Waste Management, Federal Signal and CellTrak Technologies. Richard was PayIt’s original technologist and chief architect for the first-ever, all-in-one, cross-service government platform. After leading engineering organizations across an accounting software firm, Richard focused his energy on building a micro-services platform, with continuous delivery that could revolutionize the progress of how the government interacts with its’ citizens. Jean began her career in operations at the Federal Reserve Bank before jumping into the startup world as Chief Operating Officer of a digital media company. She later held key operations roles at a subsidiary of Sprint, focused on big data analytics, as well as a rapidly growing marketing software company in Austin, TX. Her role spans key functions focused on the internal project delivery and customer-facing operations. After various design and development positions for Kansas City technology companies, Paul joined PayIt as a UI designer and developer, always expressing the value of optimizing user experience and the focus on making sure the PayIt platform used the most cutting-edge front end tools. Paul’s passion for ensuring the PayIt Platform is built with user first in mind, he ensures the team remains product-focused every day. Katie Beth has led client engagements across various industries, including business intelligence software and the non-profit sector. Her significant experience in strategic execution, operational management, and team development enable her to ensure client problems are well understood by the team, and government teams experience a smooth transition to a new solution. Kevin Tucker is the Director of Engineering and brings over 16 years of experience across development, implementation, architecture, custom solutions, and more. Kevin’s role is focused on building innovative products that provide efficiency to customers and team members internally. His passion for communication helps translate specific customer needs into repeatable processes. PayIt strives to provide an open Digital Government Platform that allows our partners and the industry to collaborate on providing the best solution to improve the delivery of government services to citizens. Improving the overall citizen experience with government is our goal. Seamless, easy to use, anytime, anywhere, and on any device provides the basis for us as an industry to help government get personal. PayIt is the leader in government technology. Our team is a group of like-minded, driven individuals who are passionate about the solution they are providing to citizens and the partnerships they are creating with governments. PayIt has flexible work hours, unlimited vacation, a newly expanded workspace, and enough personality to fill up the city. We’ll gladly review your resume and get back to you if you’re a fit.